This article has been updated in March of 2019. WordPress is a great platform, initially designed for blogs; now the popular Content Management System is widely used for business sites. But not all of it’s “features” translate well into business websites. Page and post titles are one. 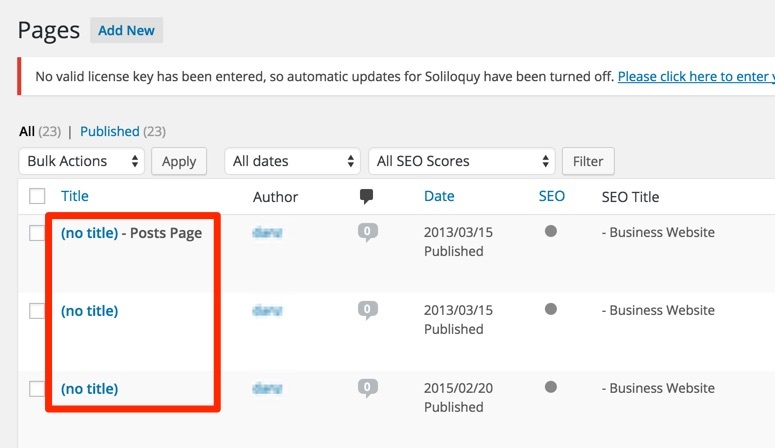 But there are some steps you can follow when trying to remove the title from a WordPress page. In a WordPress website every page and post have a title, and in many cases, having a big old title at the top of your page might look awkward. There might be other cases (business landing pages, WordPress apps, SaaS solutions) where having a title on a page — i.e., a Home Page — is simply jarring. 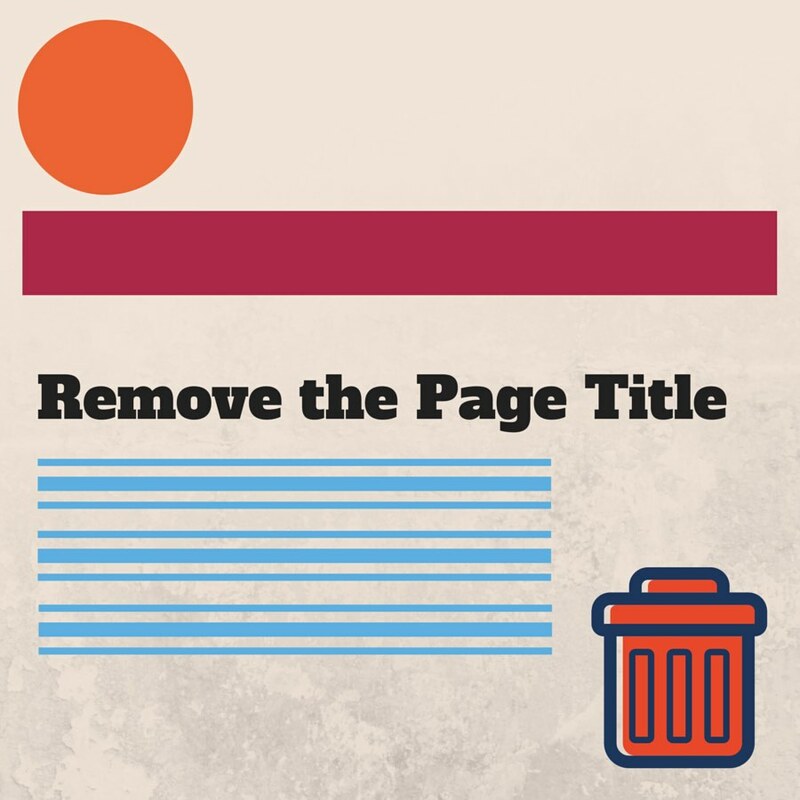 Luckily, there are a few options you have to remove the page title from your WordPress website. This can apply, whether you are looking to remove the title of one page or to remove the title of all WordPress pages. Removing all titles versus some have slightly different solutions, but both are fairly easy to do! Technically speaking, you can simply not enter the title of your WordPress page, but you have probably already tried this on your site if you are looking here and know the issues. If we know anything from life, low effort/risk = low reward, so there are a few usability issues that arise from doing this. The problem with not entering titles is that it lists every page as “(no title)” in the list of Pages in the WordPress dashboard. This means that it can be difficult to figure out what page you want to edit if you are looking in the back end. The other problem is that you also have to manually create the permalink for the page (ie. /contact) which can get very annoying, very quickly. There are two more elegant solutions to pursue, detailed below. In some cases, you might have a site where you need to remove titles across the board. You can use plugins like “Hide Title” (more on that in a bit) to remove all the pages, one-by-one, but in this instance, using code is preferred, since it is a more complete solution. WARNING — Exercise caution when working with code in the Editor, since it’s easy to break your site. The PHP we are looking for is simply called the_title. This can usually be found in your loop.php file or loop-page.php file of your theme folder. This will differ and change from theme to theme. To access your theme folder, you are going to want to head to Appearance > Editor or manually edit the file on your computer and upload to your FTP. To remove the page title, in most cases you are going to simply want to delete the section that targets the page title. Using the example of our Simple Shop theme above, we would target the H1 section and delete that content. Save your changes when you are all set. A quick side note. If you are not used to editing PHP files, first of all, tread carefully. Modifying the wrong items can cause your website to get a white screen of death (WSOD). Additionally, it is best practice to create a duplicate of the PHP file you edit and drop it into the child theme folder of your site. If you ever update your WordPress theme and only have your files on the main theme PHP files, these changes will be overwritten on update. An important note on removing WordPress page titles. If your WordPress theme is properly coded, the page title will carry the H1 tag, which is the most important tag on your site. This tag is the single most effective piece of text on a Google search for your page and carries the most weight. Without redistributing the H1 tag somewhere else or falling back to the H1 tag of the “site-title” you may take a hit on SEO. You might also want to hide or simply stop displaying the page title across your site. The benefit of this option is that the page title still loads for SEO purposes, but is technically hidden from front-facing view. Save your changes when you are finished making them and make sure this is done in the Stylesheet of your child theme, versus the main stylesheet of the WordPress theme. If you are looking for a more client-friendly solution and/or only want to hide the page titles on specific WordPress pages, you might want to use the Hide Title plugin by Dojo Digital. As of this month, they updated their plugin three months ago. Updates are usually a result of tweaks to the software based on customer feedback. This free WordPress plugin allows you to remove the title of a WordPress page from individual pages, so if you want to keep the “About” and “Contact” title but want to remove the title from “Home”, you can do that. Using the plugin is simple as well. With Hide Title active, each page will have a new window which asks if you would like to “show the page title”. This box is checked by default. Uncheck it if you would like to remove the title of that page. Update or save your page when you are finished. Note: This plugin allows the author of a post or page to hide the title and it’s containing HTML element from the single view ( is_singular() ). There are quite a few Hide Title plugins now available so you might want to do some research. With four options with which to hide page title, there should be a solution for every special case for you and for your client. If you have any questions or other suggestions as to solutions for hiding page titles, let us know in the comments below! Are you in the process of building out a WordPress site? 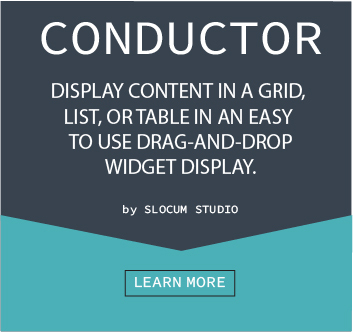 Display grids, lists, and tables of content from within your WordPress website. Dan it might be wise to show screenshots of what code snippets to modify using a text editor. Beginners can do a lot of damage under Themes -> Editor!